Our daughter, Svwara, yesterday came to me at night, when I came back home and said that she had a surprise for me. The games of surprise keep happening at our home, all the time. It is a way of enthusing one another. Svwara said that she would read four books to me that night before she went to bed. “Wow!,” was my response. As this is the reverse of the usual exercise. Every night before she hits the bed she wants either Indira or me read four to five books, that she would select. Here are a couple of books that she read to me that night. I wanted to record for this article. Yes, she is able to recognize the letters of language, at times she may even write the letters that is a mirror image of the letter. This may happen till the age of six. But, she reads every book verbatim, without knowing the words!! Its just like any other rhyme that she learnt. The entire book is a rhyme. She remembers every word and sentence there in. Simply because these books have been read umpteen number of times, as part of her ritual every night. For a four-year-old, Svwara’s vocabulary and expression in the English is way beyond her years. Many an elder is startled at her ability to construct complex sentences with vocabulary that even I may not use. Her ability to imagine and draw a visual in a context of a story, is fascinating. All these have happened because of one and only one activity since her childhood – reading that Indira has imbibed in her since Svwara’s infancy, more than me. Our elder daughter, Mallika (12) who is a voracious reader herself, who finishes big tomes every week, is surprised at Svwara’s ability to articulate such complex thoughts with great felicity. Mallika has been a precocious child herself and now she is enamoured of Svwara’s. The greatest gift each one of us can really bestow to any child is reading. Hope this journey is just a beginning of an exciting journey of discovering the world through books and much much more. Reading Comprehension : Break the barriers, hoist your flag at IIM, IAS, NLS.. ! 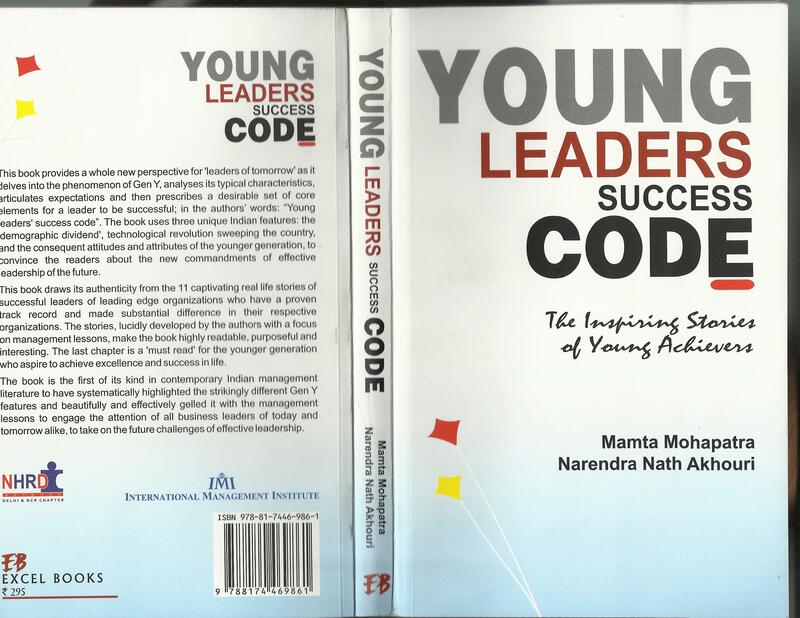 Book – Young leaders Success Code – features R.Sreenivasan! In the last edition of this series, Make ‘Reading’ a Passion : especially CAT and competition participants, we discussed some of the fundamental principles you have to inculcate to be an effective and efficient reader, and to enhance your performance in the Reading Comprehension (RC) section. I am sure some of you have certainly tried out the principles that we discussed in the last column. In continuation, in this edition, you will encounter a few more principles, which would make all the difference between a good reader and a bad one. Many of you must be looking at one word at a time while reading. You concentrate more on words rather than on the meaning behind the words. You are having an affair with the words and not with ideas. By doing so, you realize many a time that you have not got the hold on what the author intends to say. An effective reader will take the given lines as a stream of ideas or thought processes rather than as a stream of words. He will read a chunk of words or a clause that offer some meaning and conveys a thought. Ideally, if you are an effective reader you will be imbibing seven to eight words in one go. This measure of grasping a group of words in one go is called recognition span. It means, in order to be effective, you should try and increase your recognition span. Newspaper columns offer you a good practice exercise to increase the same. You should be able to take one line of newspaper column in one go. The time taken to recognize the span is called fixation time. The lesser the time you take to recognize the span, the faster you will be in covering the distance. Hence, you should try and increase your recognition span and at the same time decrease your fixation time and become an efficient reader. You read at speeds at which you believe can comprehend most of what you read. This applies to both information reading as well as pleasure reading. This speed of reading could be termed as ‘Comfort Zone Speed’. CZS is a result of poor habits that you have built through years of the wrong kind of practices. Passive reading habits have worsened the situation. It is you who have decided that the speed at which you are reading is the most comfortable speed. No one has thrust that upon you. It is now time to have a re-look and question the reading methods and techniques you have become a slave of. The reading comprehension demands you to read at speeds which are much higher than your CZS. If your CZS is low, you will find yourself reading at an uncomfortable speed, to pace with the required speed. This will result in low comprehension or ‘cognition strain’. On the other hand, if you do not want to take the risk and you enjoy being at CZS, then you will not be able to complete all the given passages. This will definitely not serve your purpose. Hence, you have to take the risk. You should practice constantly and gradually in order to improve on speed and comprehension. This would help in pushing the CZS. When you try pushing your speed comprehension and retention may go down initially. You should not be flustered. Try maintaining at the same speed, the comprehension will return in due course. This speed will be your new CZS. Once you start enjoying this speed, its time to push the speed again. It is a proven fact that the higher the speed, the greater the comprehension, since you are trying to break the frontiers and you are keeping your brain on alert to come to your help in comprehending whatever you are reading. At lower speeds the concentration is low, and you must have realized while reading, your mind wanders and goes for shopping, watching movies etc. Increase your concentration by increasing your speed. The secret to effectiveness is to do active reading. By being active, you are trying to understand what author is trying to say. While you are grasping the information provided therein, you keep asking questions like ‘what is he saying’, ‘why is he saying so’, or ‘How can he say that’ etc. By questioning his intentions, his narration or his way of giving information, you are trying to bridge the distance between the your knowledge base, a collection of all of your life experiences and learning, existing in your brain and the new information provided on the piece of paper. By seeking more, you are able to predict what the author may say ahead in the passage. By doing so, you will make this information a part of your knowledge base and rule the RC section. The stream of words is not mere words, they give away much more. Authors reveal attitude by their choice of words and narration of experiences. By indulging in active reading you are also running with the authors flow of thoughts and ideas, his style of expression. You will be able to grasp the mood of the author, attitude or intentions of the author. Invariably all the passages will have questions probing authors’ views and intentions, idea behind the passage, implied information etc. If you are involved in active reading you will be able to crack all such questions. In order to be efficient while reading, skim all the questions at the end of the passage before entering the passage. So you know what to watch for in the written material. Read the passage as quickly as you can, concentrating first on the main points and essence. Mark the shifts in the viewpoint, like the phrases – nevertheless, ironically, in spite of, however, although etc. Also pay attention to the concluding sentences to get the gist or theme of the passage. Make an effort to incorporate some of the principles discussed so far and reap rich dividends. Push the frontiers. Experience the pleasure. If you are benefited by this article kindly LIKE It, SHARE It on any of the following platforms; Yes, REVISIT it as many times as you want. SUBSCRIBE (left hand top corner) to the blog to get the latest ARMAMENT at your virtual doorstep. For motivating yourself regularly, I recommend you bookmark the following and watch the sessions and videos there in- Dream It, Do It! 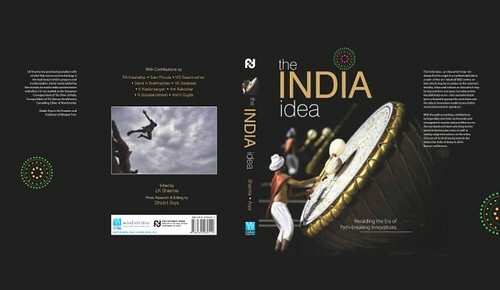 The INDIA Idea covers endeavours of innovation in India. Sreeni has contributed quite a few photographs for the book ! CAT, as you all are aware of by now, tests an MBA aspirant’s abilities in four different sections, namely – Quantitative ability (QA), Data interpretation (DI), English usage (EU) and Reading comprehension (RC). In this edition, we will look at the salient features of RC and some of the approaches you should adopt to maximize your scores not only in this section, but across the sections. READING IS A LIFE SKILL! IMAGINE WHAT ALL IT WOULD ADD TO YOUR QUIVER TO STRENGTHEN YOU TO TAKE ON THE WORLD IN DISCUSSIONS AND INTERVIEWS. KINDLY LOOK AT THE BIGGER PICTURE OF YOUR JOURNEY OF LIFE. The utterance of word RC brings forth two extreme reactions in a given set of audience – one, that is enthusiastic and eagerly looking forward to what is in store, the other set is rather better off not looking at this section. One end of the spectrum comprises of those who are from arts and humanities background, and also includes those who have reading as a passion, for them reading reams and reams of pages is nothing new. The other end predominantly comprises of students of science and engineering, who are comfortable rather with numbers and equations than with stream of words. But, CAT does not give any concession to any one. If you want to qualify it, you better be good in all sections, more so in English sections. Now the point is how could you get out of that diffident mindset and improve your comprehension and scores. – Pleasure reading – Comics, novels etc. 	– Study / Information reading – Academic books, Newspapers, Magazines etc. But, CAT / MBA entrance or other entrance exams want you to perfect ‘demanding’ reading. They expect you to be totally involved with the passage at hand. In order to succeed in such a situation you have to imbibe and implement some fundamental principles. The most important requirement to succeed in any sphere is to enjoy what you are doing. You should be enthusiastic, involved and eagerly look forward to whatever the activity has to offer. Reading Comprehension is no different. If you approach RC with a mindset of just scoring the minimum qualifying marks or if you are taking the test for it happens to be a section in CAT, then you will never improve in this section. Approach it with eagerness to learn what it has to offer. After all, the passages that figure in RC are extracts from some of the best articles that have appeared in various newspapers, magazines, reports and other publications. Hence, you should feel that you are going to enhance your knowledge. This will make you feel comfortable, physically and mentally, when you attempt a reading comprehension passage on any practice test or on the actual CAT. Once you start enjoying what you are doing, you will realize that the critical ingredient, ‘concentration’, which is usually the first victim of lack of enthusiasm, is back. Most of you who keep complaining that you are not doing well in RC, don’t do well just because you do not approach the section with the intention of enjoying it. Let me cite a simple example – just imagine the night before your final-year examinations in the university. Even if you have studied only twenty percent of the portion till the day before the examination, you manage to finish the remaining eighty percent of the portion the night before the examination, and also you get up early in the morning and revise the entire portion. What does this mean? If you are involved everything is possible. Reading comprehension is no different. If you start enjoying, your concentration, comprehension and scores will start showing a marked improvement. Once you start enjoying reading, then the next point to address is how to improve your comprehension; and retention of the information provided therein. An author sits at his table, in a corner of room, for hours, months or years to produce a piece of work – could be a newspaper article or a novel. How does do it? He visualizes, concocts the story he wants to narrate, as a sequence of scenes. He translates each scene into a stream of words conveying whatever he wants to carry across to the reader. As a reader the onus is on you to understand, what the stream of words you read mean. What could be a better strategy than reading the stream of words and translating them into a stream of visuals, which the author is trying to explain in detail. If you are able to visualize yourself being a part of the scene that the author is portraying, that would be the best way of comprehending the author’s ideas and it would help you in retention as it would become a part of your visual database. You must realize that you still retain and recall many a sequence vividly from your dreams in your childhood, though you have not experienced practically whatever you saw in the dream. Visualization is the best mechanism for retention and faster comprehension. Make it an ally to succeed in RC. How about increasing the speed? One of the prime culprits to hamper speed is regression. When you are reading, at times you may feel that you have run over a group of words and have not understood it. You then read the sentence again and again. This reduces your speed. If you are aware of the structure of a passage, regression could be eliminated there by increasing the speed. You should know that most of the times any given passage will have an introduction or beginning; a body – made of many paragraphs, and an end or conclusion. Each paragraph in the body gives one and only one idea and followed by illustrations to make you understand what that idea is all about. If this is the structure, you should never regress. If you got the idea behind the paragraph, and even if you miss an illustration you can make up many more illustrations; if you skip the idea and understand the illustrations, the idea falls in place. It just means that, even if you did not comprehend a certain sentence, just keep going ahead and do not regress. By the end of the passage, you would have missed nothing. Here, we have discussed three of the fundamental principles of RC. In the next article we will look at strategies to increase speed. After all, RC is all about speed, comprehension and accuracy. Make a beginning. Enjoy reading. Make it a passion. Wisdom and insights from Mallika’s books and readings! Mallika is obsessed of reading books and books.. It is her staple diet. Indira, my better half, has been a great contributor to this habit of Mallika – reading. Ever since we have been blessed with Aru, our second daughter, Indira could hardly spare time to read books for Mallika and she slowly started reading books by herself. Whenever I am at home, I try to be part of Mallika’s book reading exercises. No body can disturb her when she is reading. This afternoon, Mallika was insisting on finishing her book, before coming to sit with all of us for her lunch. I went and sat next to her with another book from her grand collection – An Amar Chitra Katha – Tales of Yudhishtira. while reading the book, I was again reminded of the influence books can have on a young mind…and the old alike… They are just like mirror to show you who you are..
Yama – What makes an individual an enlightened one (Brahmin) – Birth, Conduct or Learning? Yama – What is that causes ceaseless wonder? Yudhishtir – Day after day, countless people die. Yet, the living wish to live forever. What could be more extraordinary? Yama – How do you become rich? How do you become happy? Yudhishtir – If you abandon LUST, you will be rich. If you abandon DESIRE, you will be happy. It had such a profound impact on me, just reading these dialogues this afternoon. I felt, these easy to read story books can be of immense value at any stage of life. I felt very blessed reading them with Mallika. I thought I should blog what struck me and will stick with me for life..
Mallika has finished reading thrice over, 120 of Amar chitra katha’s mythology and history collection… it is like back of her hand! !